The Cooler Tray is FDA compliant and made of sturdy, moisture-resistant polyethylene. The design provides enough support for 80 lbs of food & beverages, and the tray height allows you to place 15-20 lbs of ice without having to empty the cooler. The tray is not to rigid but flexible and easy to use. We’ve all reached into are cooler to find food sitting in a disgusting pool of dirty cross-contaminated watery grave. The Cooler Tray will save you money, minimize food waste and keep your cooler cleaner so you don’t have a huge mess to clean up after your outing. Simply put The Cooler Tray™ becomes the new base to your cooler. Place it at the bottom of your cooler and let it go to work. Add your food items and ice into into your cooler, on top of The Cooler Tray™, and now your stress will go away. It keeps your food more dry while keeping it elevated above the ice-melt and cross contaminated water. You’ll love it every time you use it. 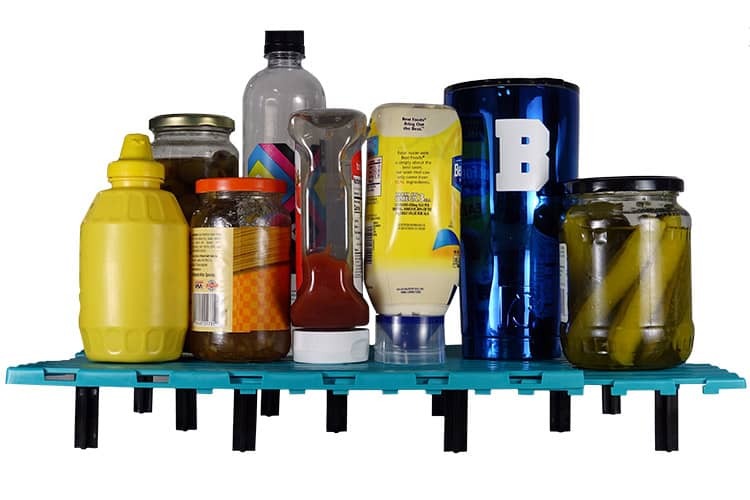 The two main tray parts lay on each other and can slide to extend to the size of your cooler. The two side extensions can be snapped on to each corresponding tray so as to extend to fill in the gap on wider coolers if needed. 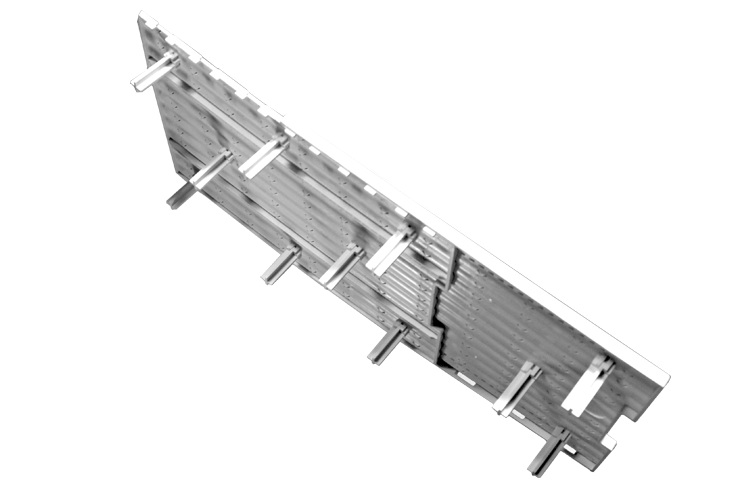 You want to have no more than 1/2″ gap between the edge of The Cooler Tray™ and the side walls of your cooler. This gap allows more air flow which will in return help with how long your ice will last, extending it’s life by up to 24 additional hours. 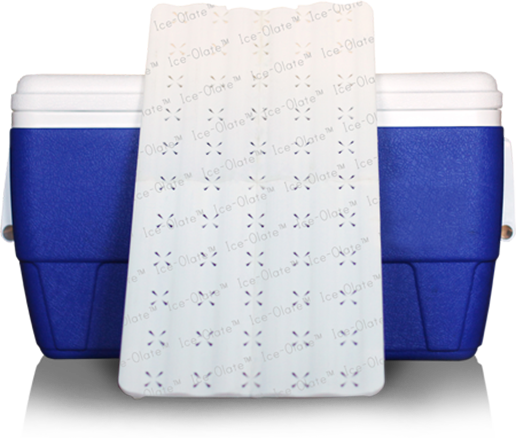 The Cooler Tray™ is FDA compliant and made of sturdy, moisture-resistant polyethylene. The design provides enough support for 80 lbs of food & beverages, and the tray height allows you to place 15-20 lbs of ice without having to empty the cooler. The tray is not to rigid but flexible and easy to use; so you can adjust the size or customize it yourself. You can also use The Cooler Tray™ as a divider when using dry ice inside your cooler, it eliminates any contact with you food.